For many adults and teens, the prospect of dealing with metal braces on a social level can be extremely disheartening. With Invisalign, you can now straighten your teeth without that obvious ‘braces’ look. You can take them out to eat - You can take your Invisalign aligners out to eat. This means that unlike with traditional braces, you can eat whatever you want, with no limitations and nothing getting stuck in your wires or brackets to embarrass you later! Just make sure you clean your teeth thoroughly after each meal and snack, and you’re good to go. You can take them out to brush and floss - You can also take your aligners out to brush and floss, so no spending ages trying to clean around every pesky nook and cranny between wires and brackets. And again, you don’t need to worry that your braces are hanging onto food debris and plaque buildup. You don’t have to visit us as often! - Of course, we’re always happy to see our patients, but making time in busy schedules for adjustment appointments isn’t always easy for people with busy lives! Since your Invisalign aligners don’t need to be adjusted, you don’t have to make time in your schedule to see us as often. All you have to do is switch to a new set of aligners at the prescribed regular intervals. You won’t be setting off any metal detectors with your clear aligners. They’re are made of completely transparent, BPA-free plastic, so when you’re wearing them, they’re basically invisible. This means that you don’t have to worry about your co-workers or your date noticing, or poking fun at, your braces. In fact, you’ll be surprised at how many people don’t even catch on to the fact that you’re undergoing treatment. And as mentioned above, your food won’t be sticking around on your brackets and wires to haunt you later! 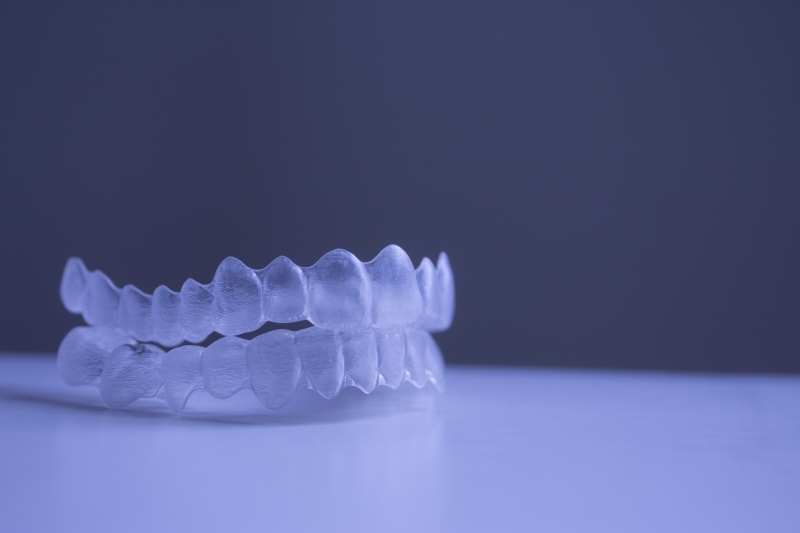 If you’re interested in straightening your teeth with Invisalign clear custom aligners, give us a call today, and we’ll set up a consultation to see if Invisalign is right for you!